See the tiny golden flecks? There’s a vegetable in these cookies! The summer squash in this recipe is on a covert mission. Its objective: to add moisture to these not-too-sweet cookies. I shredded the butterstick in my Cuisinart food processor using the shredding disc. 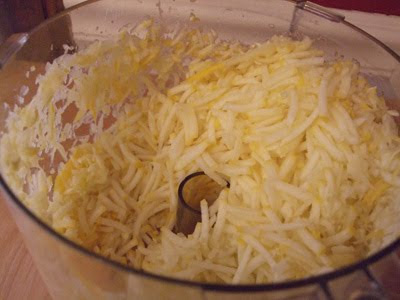 Then I chopped it more using the standard food processor blade. This photo shows the squash before further chopping. Smaller pieces of squash make for less lumpy cookies. It’s easy, though, to overprocess food. You don’t want squash soup! The food processor is a powerful tool. Show it respect. 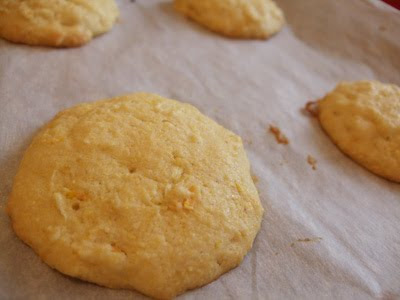 It’s easy to overlook the squash in these cookies, especially if you use butterstick squash. The yellow cornmeal, lemon zest, and light yellow butter and sugar compose a golden cookie — the perfect hideout for a yellow vegetable. Self-portrait in the mixing bowl of my Kitchen Aid stand mixer, my favorite kitchen tool. 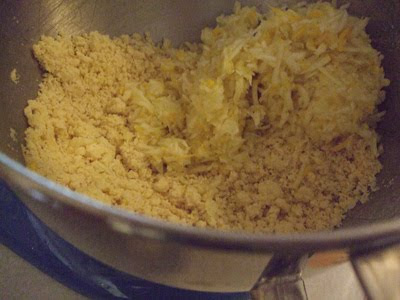 The mixture is extremely crumbly until the squash is added. The best thing about these treats is their subtle sweetness. Cornmeal and squash temper the sugar and vanilla, along with adding a toothy texture. 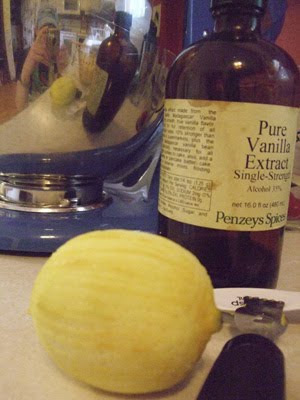 The lemon zest adds brightness. The cookies cool on racks. The grill stands ready on the deck for cooking dinner. I love summer eating! Follow a salty, grilled meat main course with these summery cookies and vanilla ice cream. Children may find them plain, but adults will enjoy the mingling of savory flavors in a light and just-sweet-enough cookie. 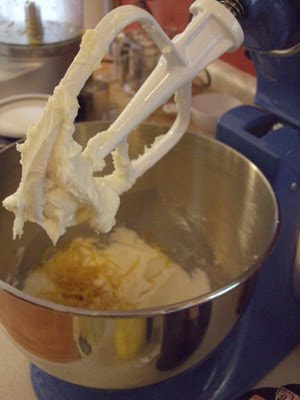 Powdered sugar (or confectioner’s sugar, if you’re fancy like Martha Stewart) and a stick of butter are beaten together. Drop batter by rounded tablespoons, 2 inches apart, onto two parchment-lined baking sheets. The cookies will spread a bit. 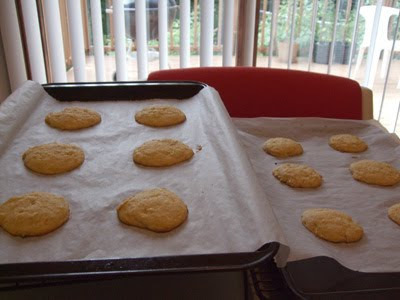 Bake until cookies are light golden brown at the edges, 25 to 30 minutes. (The cookies smelled golden after 25 minutes; I baked them for 29 minutes.) Rotate the sheets halfway through baking. Let cool completely on wire racks. The original recipes says the yield is 25 cookies. I came out with 19, but I was generous with my batter scoops.